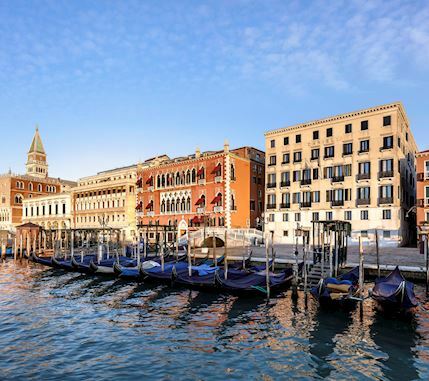 For centuries Venice ruled the seas and established substantial trade and relationships with the Orient. 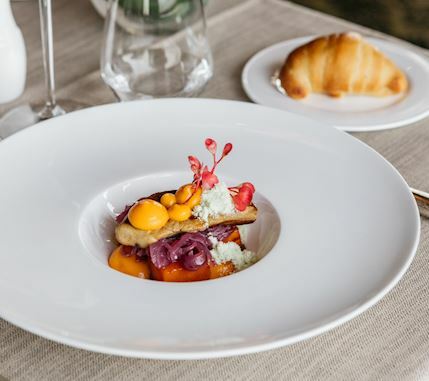 This mutual exchange of ideas and culture significantly marked the lifestyle, the tastes, and the flavours of Venetian Cuisine and may be tasted at Restaurant Terrazza Danieli. 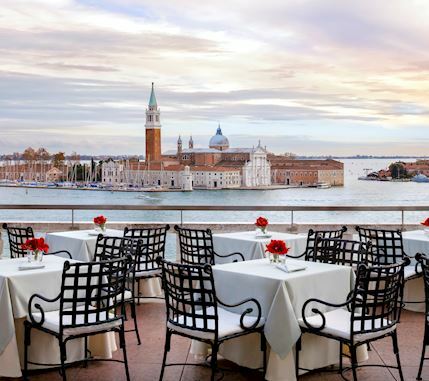 The Restaurant hosts up to 120 guests both indoors, and outdoors on its legendary terrace, open for al fresco dining in warmer months from May to October. 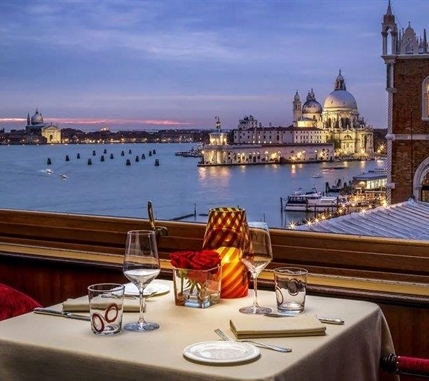 An à la carte menu showcases typical Venetian cuisine as well as traditional Mediterranean fare accompanied by breathtaking views of Venice. 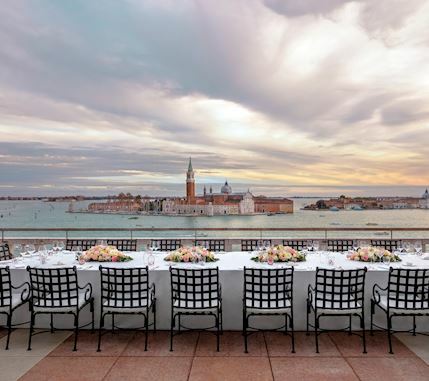 Bar Terrazza Danieli is located on the top floor of the Hotel Danieli and offers stunning views from its terrace over the Venetian lagoon and Venice's most loved panorama. 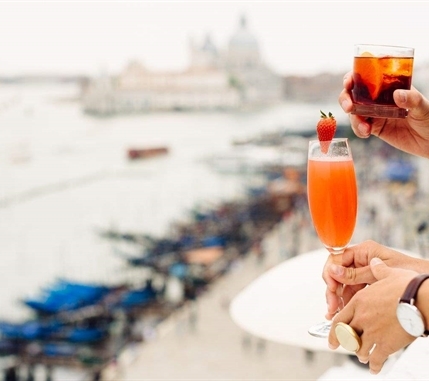 Enjoy a light snack during a busy day of sight seeing or indulge in an exclusive aperitif with friends before dinner while watching the sun going down and the lights of the lagoon emerge. 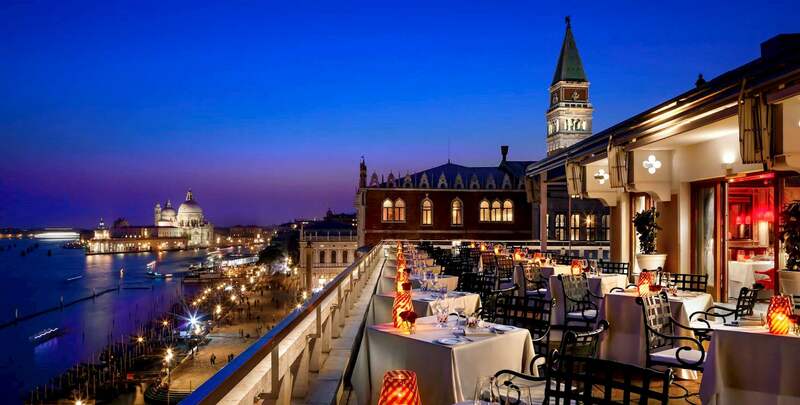 Bar Terrazza Danieli is the perfect location to linger with delicious culinary creations and a personalized attentive service. 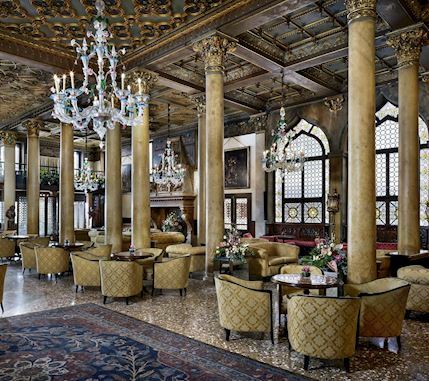 Located in the majestic lobby of the 14th century Palazzo Dandolo, Bar Dandolo is Venice's most sophisticated spot for whiling away the day. 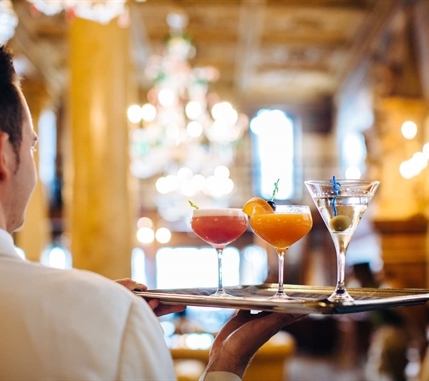 Whether stopping by for a morning espresso, an afternoon tea, a pre-dinner aperitif or a nightcap before retiring, Bar Dandolo's alluring atmosphere charms locals and visitors alike.